Oven Clenz is designed for the rapid removal of grease and charred food debris from the interior and exterior of ovens, deep fat fryers, extraction hoods and filters, skillets, waffle baskets. 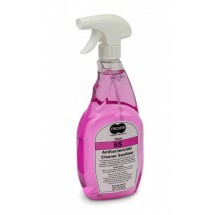 Spray and Wipe is a fast action bactericidal cleaner removing grease and grime from all hard worktops, vinyl, melamine, stainless steel and painted surfaces. Simply spray on and wipe off with a damp cloth. 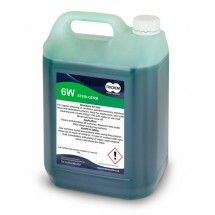 Contains advanced quaternary biocide and sanities as it cleans. Conforms to EN1276 and EN13727. Glaze is an ultra pure window, mirror and stainless steel cleaner making it ideal for all windows, mirrors, ceramic tiles, chrome and porcelain.